If you want to enjoy a perfect pairing lunch we invite you to book our “quincho”, a place where you can discover the typical flavors of Chilean Cuisine while you enjoy a panoramic view of the Cachapoal Valley, accompanying this moment with the best wines from our winery. Hidden in the Andes Mountains and near the town of Requinoa it is located the wine cellar that is home to Viña San Pedro Cachapoal Andes. 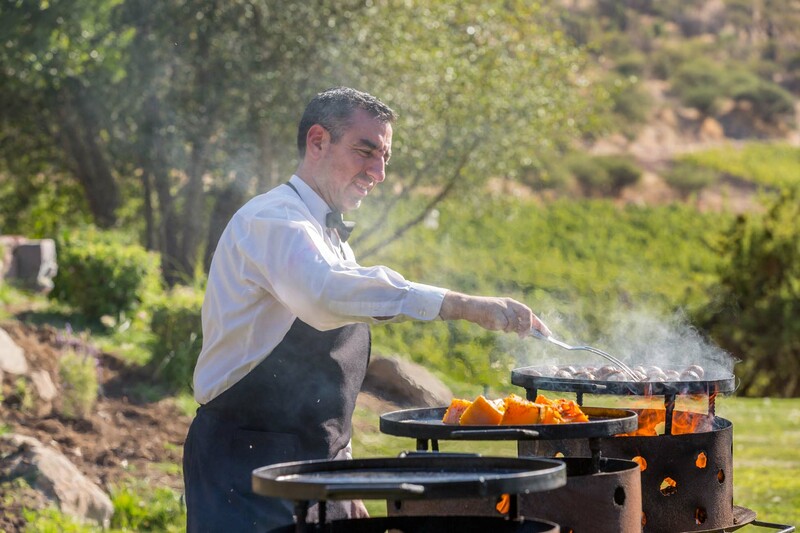 Here you can live customized experiences, ask for wine tastings with panoramic views to the vineyards, take tours to the modern wine cellar and countryside, and finally enjoy exquisite Chilean barbecues in the our quincho.